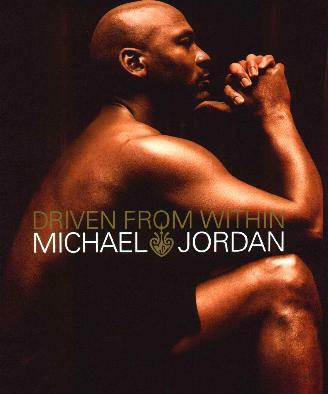 Known to millions as one of the best athletes (and competitors) around, the legendary Michael Jordan's book is a look at his life as a basketball star and as a businessman (more the business aspect). He says, "Players who practice hard when no one is paying attention generally play well when everyone is watching", and, "There are no short cuts. I have always believed in leading with action, not words", which appears to fit Mr. Jordan to a tee. He offers a kind of commentary about his professional life and how he got into basketball, as well as many quotes from his mother, coaches, colleagues, and friends. Barring his talent, the most beneficial aspect of his life was his family structure and discipline - this more often than not can lead to success in a mature and respectful manner. Jordan writes about his years at the University of North Carolina, his move to Chicago, his introduction to Nike, his hard work and diligence, and the importance of being true to yourself. The book is all about committing to something and sticking to it. It's also illustrated with pictures of Michael Jordan (in action and posed) as well as sketches of his famous athletic shoes. It's more of an artsy book because of the drawings, logos, sketches, and photographs, plus the font size and colors keep changing throughout. I thought it was a mistake to put that famous picture of Michael with his arms outstretched (ball in the right hand) where they did - in a four-page foldout with his beautiful face obscured in the fold down the center of the book. There is little about his family life other than his Mom's comments. Conclusion - Pretty interesting and definitely a fan's item to collect.